Arsenal beat Cardiff City 1-0 at the Emirates in the Premier League on Tuesday evening. 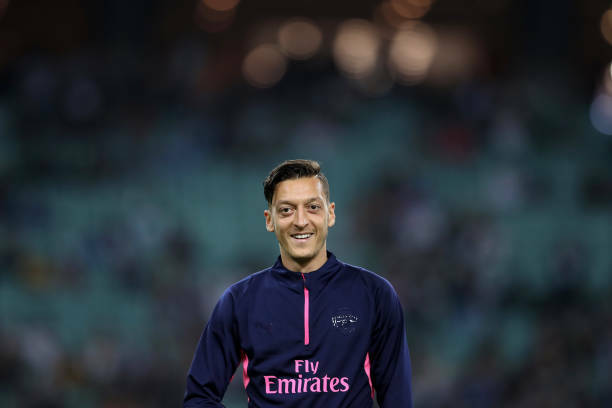 Gunners boss Unai Emery gave Ozil his first start for the team in 2019 and also gave him the captains armband. Ozil made his first appearance of the year last week in the FA Cup against Manchester United. We took a look at how Arsenal fans reacted to Ozil’s display on social media after the game. Arsenal fans responded to Ozil’s display and had a lot to say about his defensive work. The playmaker of Turkish origin has been heavily criticized for his work rate, not tracking back and not putting in enough defensive work. Only Shkodran Mustafi made more tackles than Ozil who also managed to complete the most passes and create the most chances. Only Mustafi had more tackles than Mesut Özil tonight. Mesut Ozil completed the most passes & created the most chances in tonight’s game. For you Non-Ozil fanboys, only Mustafi had more successful tackles than Ozil tonight. Eat that. Mesut Özil had 6 (of 6 attempts) final third entry passes, Only Torreira had more than 2 and he had 3. One of the keys to unlocking Ozil is connecting defense and attack and it was lacking in this match. Ozil was very good today. And put in a shift both ways. Only so much he can do. Another wonderful performance from Ozil. Just glides with the ball at great ease. Passing is always with something in mind, never forced and is hardly misplaced.